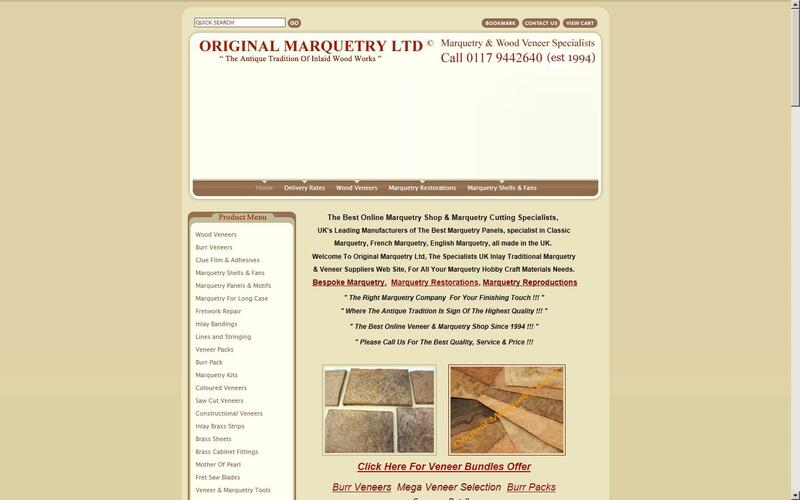 Original Marquetry Ltd provide all things marquetry as well as inlays, brass strips, wood veneers, fretwork, inlay bandings, brass sheets, brass cabinet fititngs, veneer and marquetry tools and much more. 5 stars for the quality of the products and the way that they were packed. However, I do feel that almost £9 delivery charge is excessive, particularly given the fact that Parcel Force could not deliver to my house due to ‘poor weather’ (we had no snow) and I had to travel almost 3 miles to collect the parcel myself. Alternative delivery options could be a possible solution to the disappointment of these high delivery charges. 2 small pieces of mother of pearl squares measuring less than 50 mm sq delivered in a parcel. At a cost of around £7 postage!! !